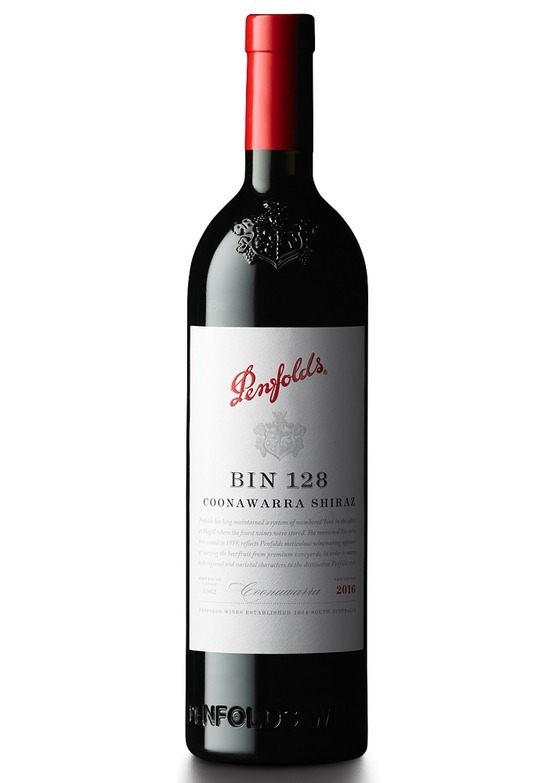 "Bin 128 is now the benchmark for Coonawarra shiraz, sourced exclusively since its very first release back in 1962, from the region's famous red terra rossa soils. This is cool climate shiraz at its very best. Oozing with red and black fruits, moist fresh cranberries and soft dates, the Bin 128 exudes a wonderful Mediterranean-spiced perfume which combines beautifully with cigar box oak to further enhance the seductive nose. Penfolds have been investing heavily in the 128 and all their hard work is really starting to produce incredible results. The 2016 vintage is matured in 30% new (its highest ever) and 70% older French oak hogsheads (slightly larger cask than the traditional Bordeaux or Burgundy barrels), and in turn this has given it even more aging potential than ever before. This is a wine you can now enjoy at well over 20 years old? if you can resist the temptation. I know I couldn't!"